Cold and flu season is once again upon us. If you haven’t gotten a flu shot yet, don’t worry the common cold and influenza are only temporary illnesses and options for symptom relief are available for everyone in your family. Below are four things that you must know about the common cold and influenza. Did you know? The common cold is a leading cause of doctor visits, with over 100 million visits paid to the doctor each year. It also causes 22 million missed days from school, as well as 20 million lost work days in the United States annually. Prevalence: At the peack of the 2012-2013 cold ad flu season, nearly 50 million adults and children experienced cold and flu symptoms – that’s six times greater than the population of NYC! 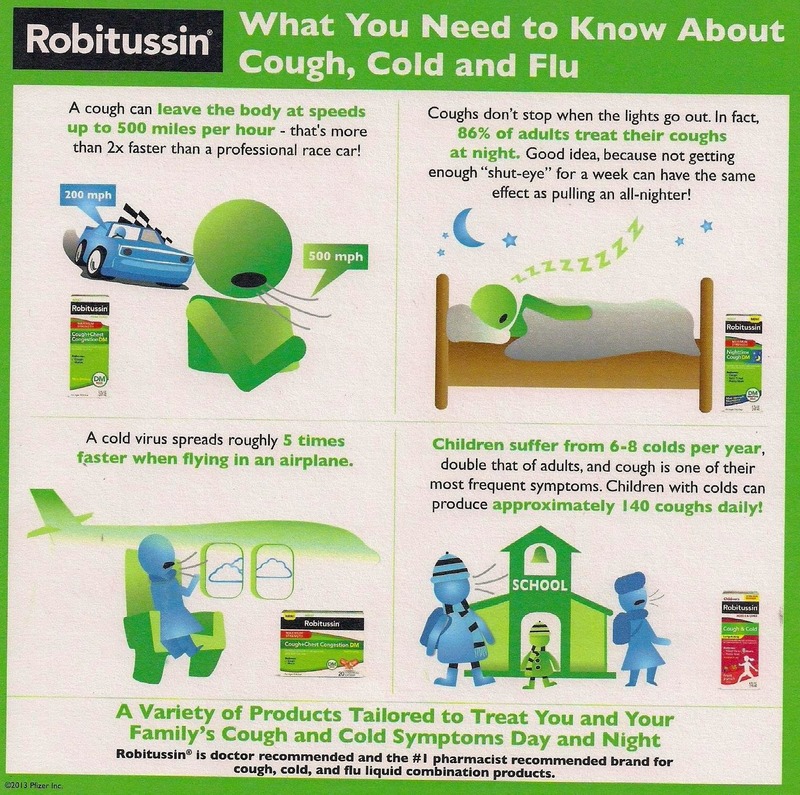 Most adults have 2-4 colds per year, while children average 6-10 colds annually. On the average, 5% to 20% of the population gets the flu annually. Cause: Flu is caused by influenza viruses that infect the throat, nose and lungs. Common colds can be caused by over 200 different viruses. Did you know? Up to 50% of people who have a cold will develop a cough. Prolonged coughing can cause unpleasant side effects, such as chest pain, exhaustion, light-headedness, and interference with socializing and work. Prevalence: At the peak of the 2012-2013 cold and flu season, over 47 million adults and children experienced cough symptoms – that’s more than the total population of the state of California. Cause: One cause of cough is a reaction to an increase in mucus production in the airways. Coughing is how the body expels excess mucus from the airways and lungs. I received product compensation in exchange for this post.